Since 1999, some THz characterization activities has been developed. First a time-domain technique has been investigated and is based on an electro-optic sampling using a femto-second laser source. THz electric pulses are created by photo-conductive devices fabricated with very low carrier life times (sub-ps), for example the low temperature grown GaAs. Rise time of the electrical pulses is typically 500 fs, corresponding to a frequency range from 100 GHz to 2 THz. After that, electrical pulses are detected with an electro-absorbing technique developed at IEMN. 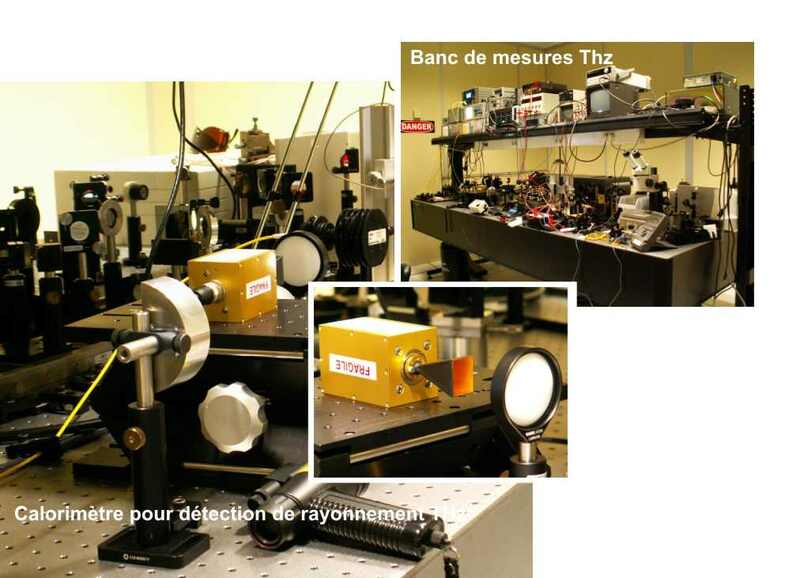 A second activity on continuous-wave THz (CW-THz) signal generation has been investigated since 2002. 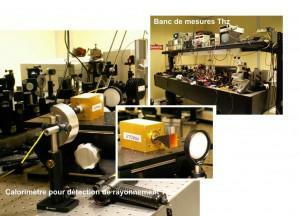 This generation is realized by the photoresponse of semiconductors, and the optical source is composed of two CW lasers. Two approaches are studied: photo-conductive structures based on semiconductors with very short carrier lifetime, for example low-temperature grown GaAs (LT-GaAs), and ultra wideband photodetectors (Unitravelling Carrier Photodiodes). This two types of devices are solutions to CW-THz generation, the frequency of the generated signal is then controlled by the optical frequencies of the lasers.